Next week (12 -16th March) is Green Week at London Metropolitan University, which includes a whole host of events from cake baking to charity pop up shops, sustainability talks and visits, for a full list of events see here. 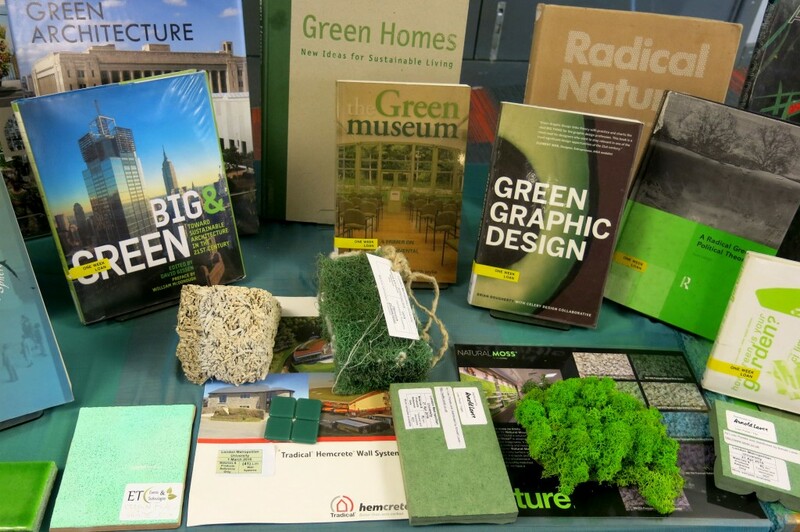 To coincide with this event we have put a display of ‘green’ related items up in Aldgate library, including books and items from the Materials and Products Collection. 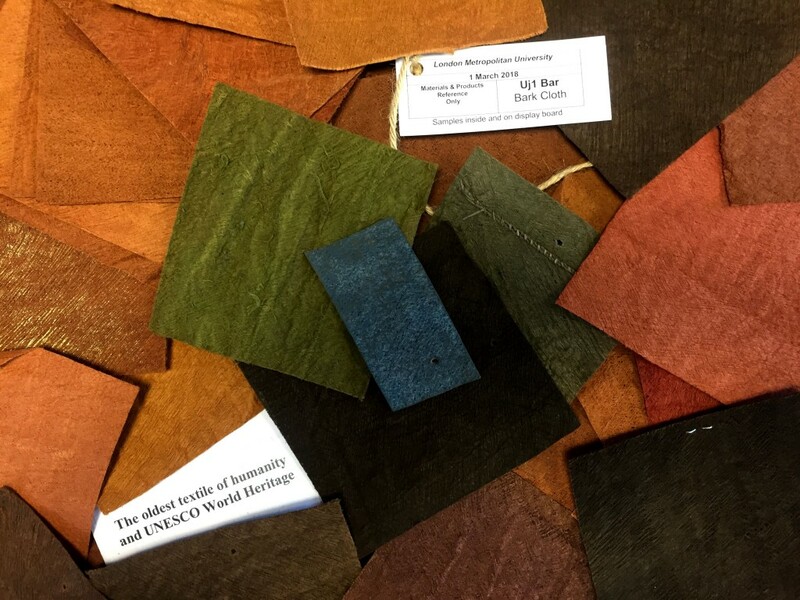 The Library’s Materials & Products Collection is a superb assemblage of material samples including ceramics, textiles, glass, paper, metal, plastics and much more. It also includes reference books, books about materials and directories to help you source products and materials. You can find the Materials and Products Collection on the third floor of Aldgate Library in Room CM3-N03. This entry was posted in Library news, Uncategorized and tagged "materials and products collection", architecture, fashion, Green Week. Bookmark the permalink.